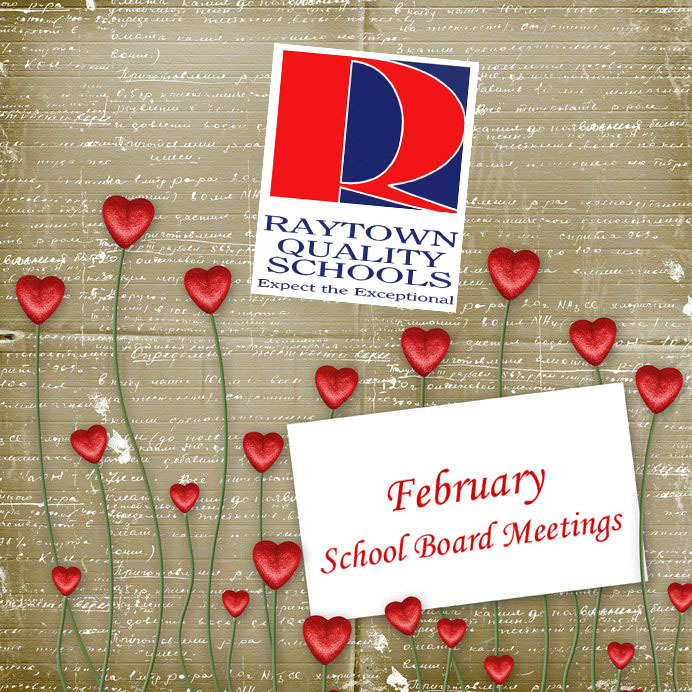 Raytown School District’s Board of Education met Monday, Feb. 13, at 6:30 p.m. In addition to routine items on the agenda, such as paying the bills and bidding out services, board members had a full schedule. One significant item on the agenda was an update on student transfers from the Kansas City, Missouri School District (KCMSD). Since the loss of accreditation, students from KCMSD have been applying to other neighboring districts, including Raytown. Although applications are being taken, none of these students is being admitted pending resolution of legal issues. Next June, Jackson County Circuit Court Judge Brent Powell will hold a hearing in a case to determine how KCMSD will pay tuition for transfer students. Also on the board’s agenda this evening was setting the district’s tuition rate. Another important topic this evening was consideration of a policy regarding staff relationships with students. This policy would regulate communication through the use of social media such as Facebook, Twitter and e-mail. A new state statute, The Amy Hestir Student Protection Act, requires districts to approve such a policy no later than March 1. In other business, board members were to consider approving the lease of 292 acres of undeveloped land to a local farmer. The lease would increase district revenues by more than $17,500. The Board of Education meeting, which was open to the public, took place in the district’s Administration Building; 6608 Raytown Road; Raytown, MO 641133.